This photo seems implausible. 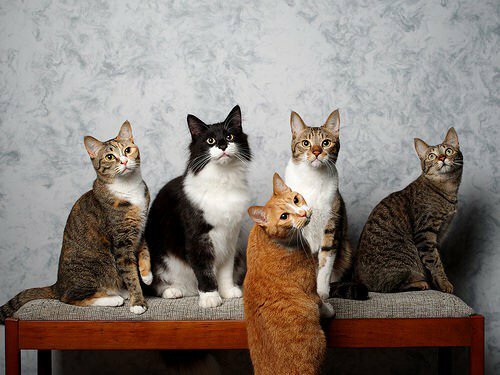 How could you get five cats to pose this way? (Which is why I included the tag “wow.”) But isn’t it wonderful?